My name is Bethany Burton and I am a licensed, mental health counseling professional with over ten years of experience working with adults from all walks of life, often during some of the darkest periods of their life. Everyone faces problems and struggles in their lives such as depression, anxiety, grief, and addiction and I have helped hundreds walk their path and find purpose and joy in their lives again. If you have found that what you have been doing no longer works for you, please reach out. I feel that part of my purpose on this earth is to meet people where they are at in their lives and help them along in their journey of self-discovery and growth. 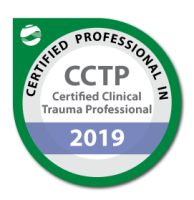 I am a certified trauma professional with advanced training in co-occurring disorders, addiction counseling and have over a decade of experience of helping people who struggle with depression, anxiety, and stress. If you feel like your life has become unmanageable, out of control, or if you feel that you aren't living the life you want, you may find it helpful to talk things over with someone objective, non-judgmental, and compassionate who may have a new perspective and new tools to help you move forward. It would be my privilege and pleasure to be that person for you. Call today to schedule an appointment. "I feel that part of my purpose on this earth is to meet people where they are at in their lives and help them along in their journey of self-discovery and growth."